Makes it easy to install GoingUp Plugin. To install GoingUp! 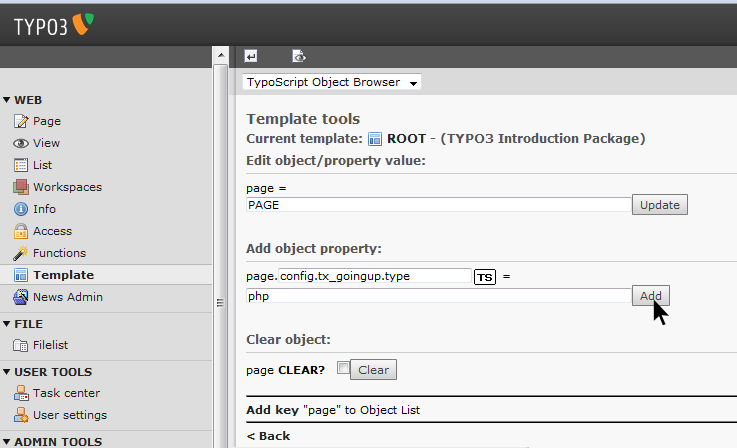 Web Analytics in to Typo3, you’ll need to sign up for a GoingUp! account and then locate your Site ID in your account under “website settings” of a website. 2. 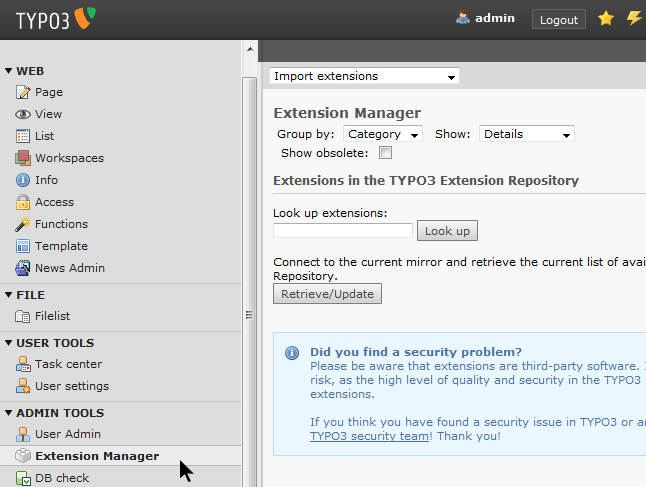 Login To your Typo3 admin account. 3. Then goto “Extension Manager”. 4. Then in the “Upload extension file directly “ section upload the downloded file(i.e. T3X_goingup-0_0_0.t3x). 5. After that you see a confirmation message that the Extension is imported. Then click on “Install extension”. 6. After that you see a confirmation message “The extension “goingup” has been installed”. 2. 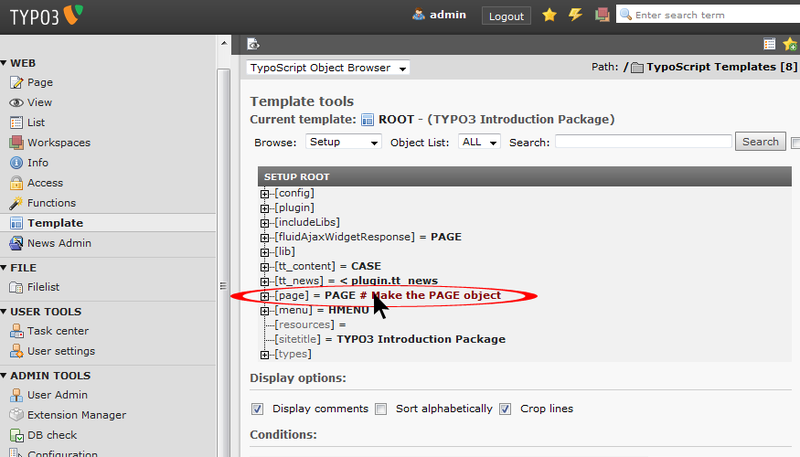 Then click on template “page” object. 3. 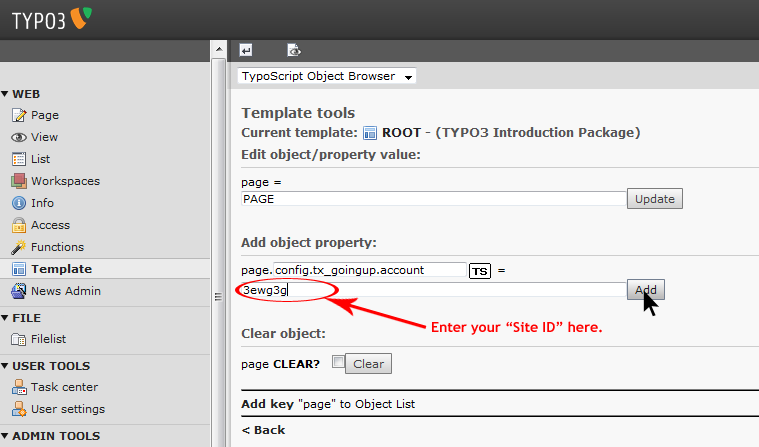 Add object property “config.tx._goingup.account” and in value add your site id . Then you will see a confirmation message.